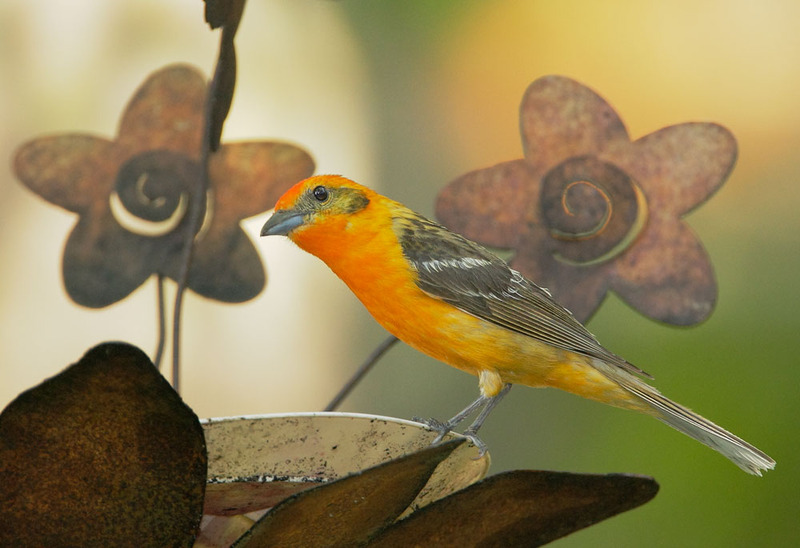 Flame-colored Tanagers are rare summer visitors and nesters in southeastern Arizona, and this male was a regular visitor to the feeders at Kubo's B & B in the summer of 2008. When I was staying just down the road at Santa Rita Lodge in early August, I paid several visits to Kubo's and finally on my last one, late afternoon before I was to leave, I was lucky enough to be there when this beauty visited his favorite feeder, the one with the grape jelly. See my page on the Berylline Hummingbird, another rarity, for more on this lucky visit to the enchanted feeders of Kubo's.